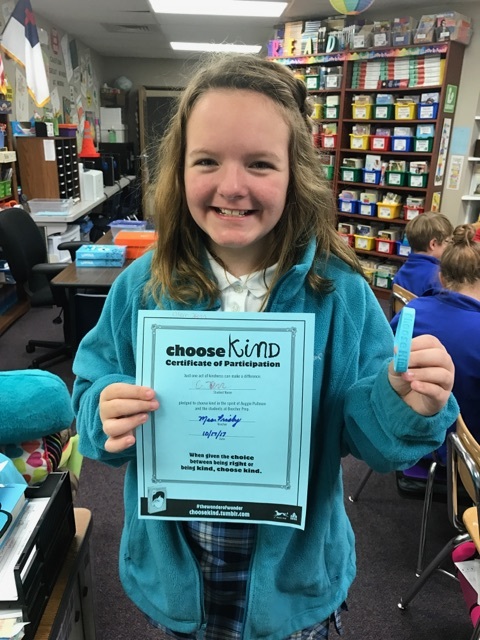 Our friends in Kelly Prisby's fifth grade class at Immanuel Lutheran School in Macomb, MI reported that they took and completed the Choose Kind Challenge! Look at the smiles! I can feel the kindness, can you? Below is a letter from Ms. Prisby about her class's participation in the program. 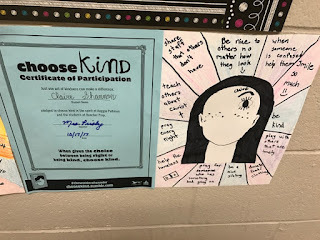 We are honored and privileged to have completed the CCA "Choose Kind Challenge". 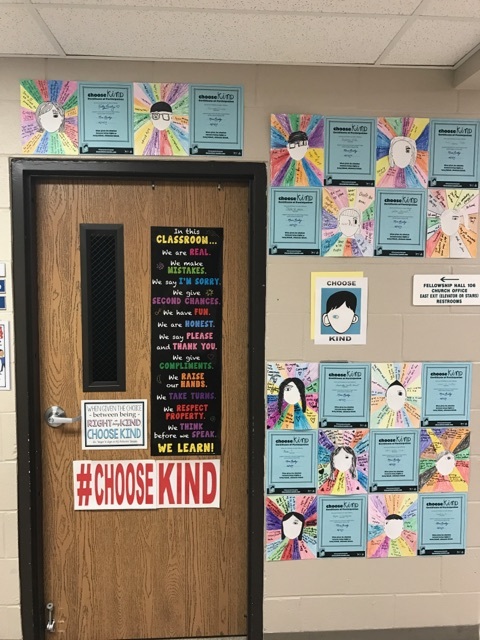 We have read the Wonder novel, individually taken the "Choose Kind" pledge in written and oral form, made Wonder self portraits complete with our own acts of kindness, as well as completed "Compliment Sheets" about every student in our 5th grade classroom. 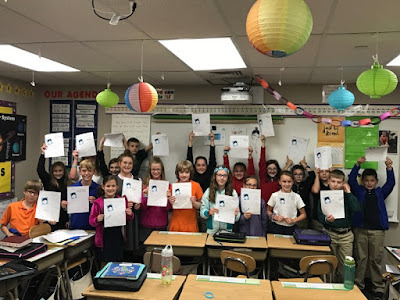 We have connected with a real life Auggie (Jakob) from the CCA organization and are awaiting our first return pen pal letter from him. We are going to see the Wonder movie on Opening Day, November 17th. 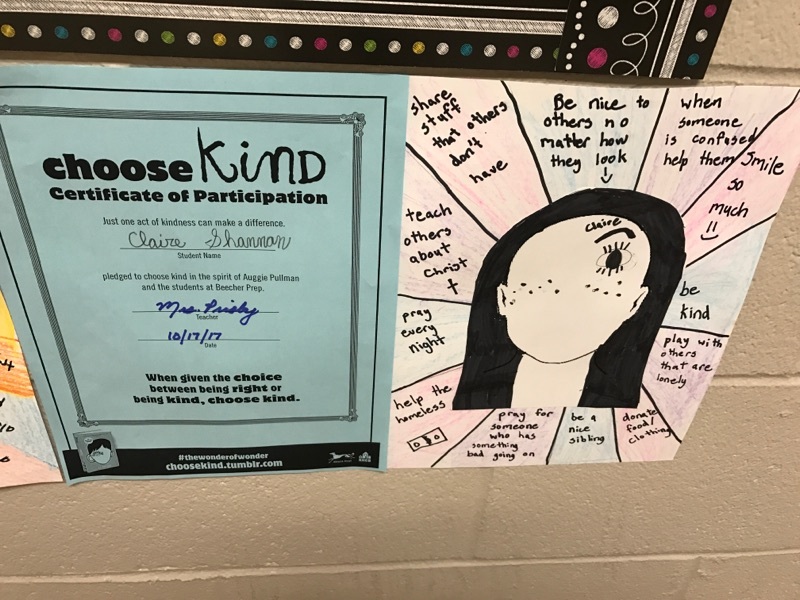 This novel and the CCA "Choose Kind Challenge" have shaped our classroom community and we feel abundantly blessed! 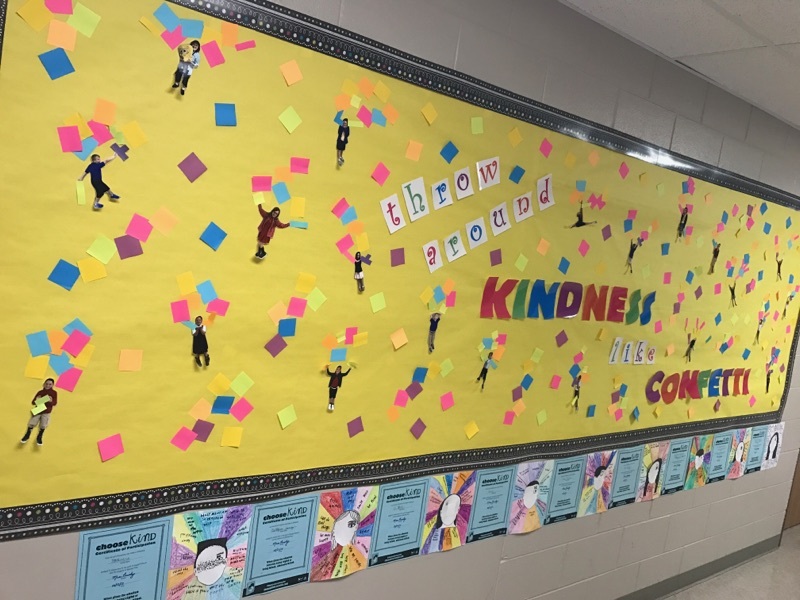 Thank you for all you do and raising awareness in our community!